Learning to cook is one of the best skills anyone can learn; in fact, I think it's one of those life skills that should be mandatory! But what if no one you know cooks? Not even your parents? What if you do know how to cook, but have little equipment or little money to spend on an extensive spice rack and pantry? Good news! Companies like Blue Apron and Plated are trying to make cooking as simple and convenient as possible for anyone craving home-cookin'! 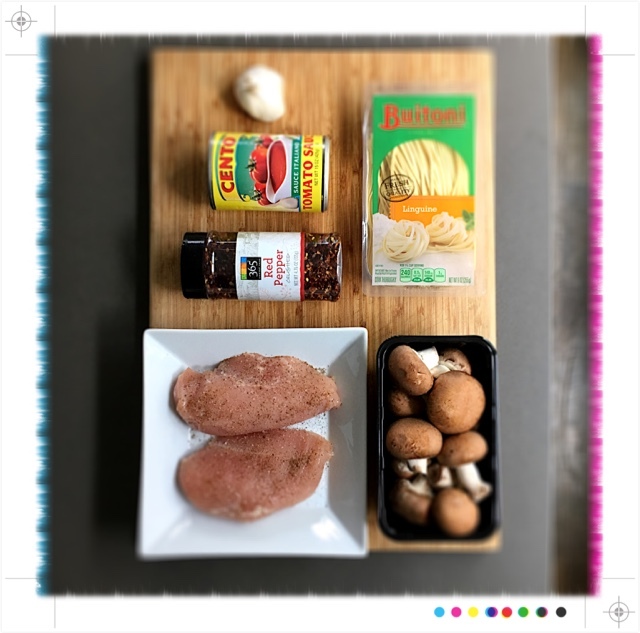 They literally send everything you need for a great meal right to your door--exact ingredients, pre-measured with a colored sheet of paper picturing each step--this is perfect for anyone on a busy schedule or who may not have time to stop by the store! In fact, parents could make this a really cool gift for their college students who enjoy cooking over microwaving, but don't have time to shop. Young professionals and grads might consider this option with one of these companies, because it is actually quite cost-effective (especially Blue Apron)--3 meals for two people with leftovers, delivered to your door for $60/week--so, if you are on your own, this translates into at least 2 servings per meal! All you do is come home, unpack the ingredients and assemble! 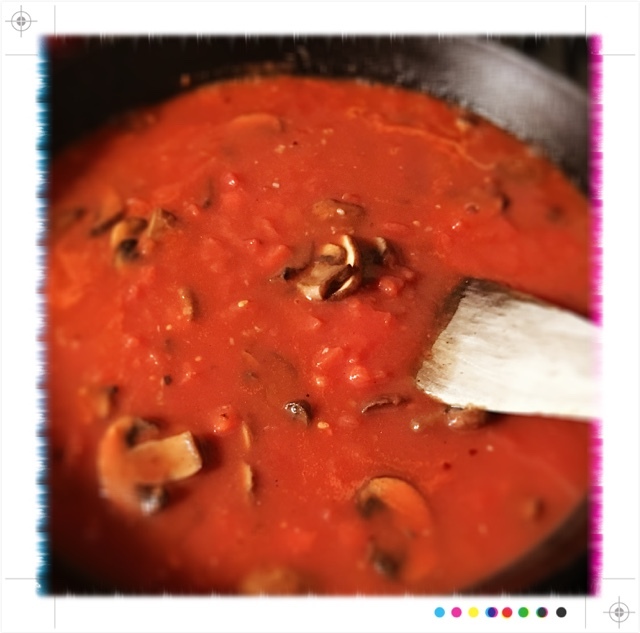 If you like the recipe, you now have a copy of the recipe for future use! One such recipe we tried is featured below! 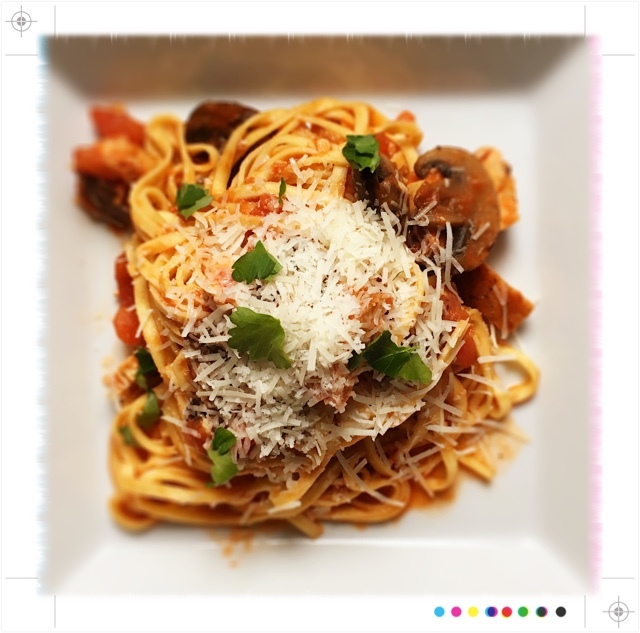 12-16 oz of fettuccine or linguini, cooked and drained. 2. 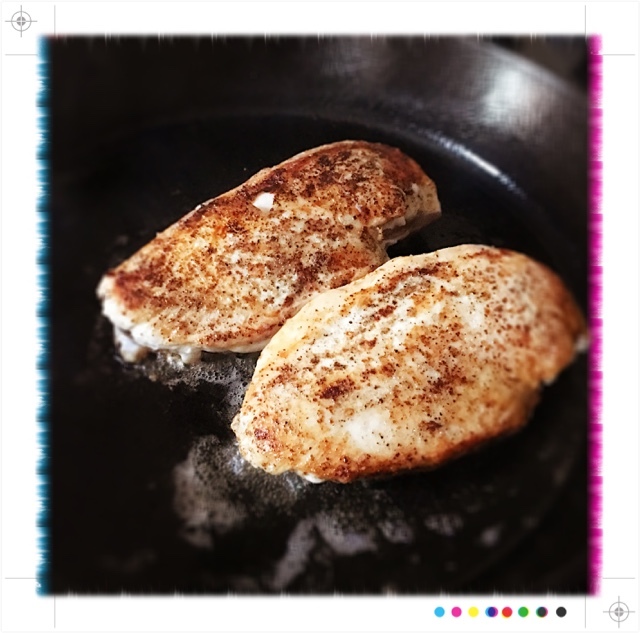 Sear the salt & peppered chicken breasts in 2 tsp olive oil and 1-2 tsp butter. 3. 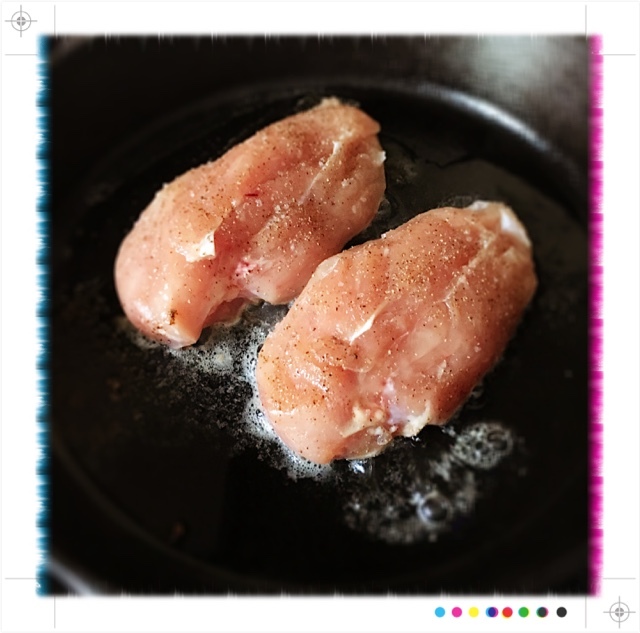 Remove chicken breasts and set aside to cool before chopping and dicing. 4. 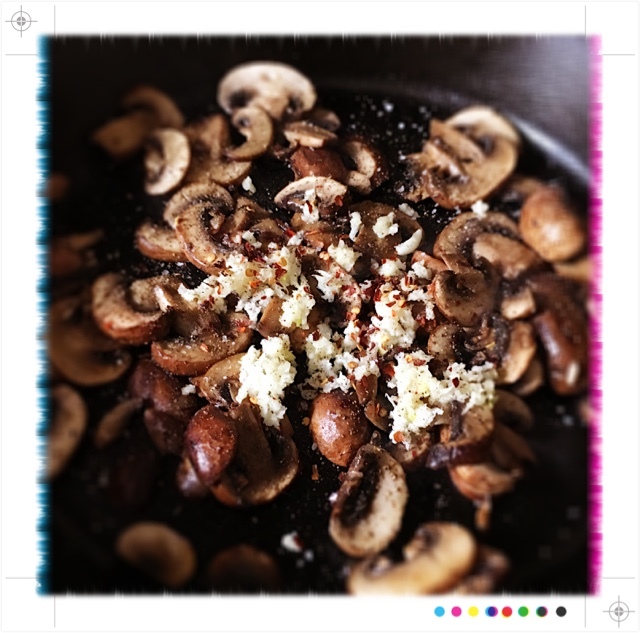 Add 2 tsp of olive oil to skillet and sear mushrooms x 5-6 minutes. 5. Add garlic, red pepper flakes, salt and pepper. Cook until fragrant. 6. 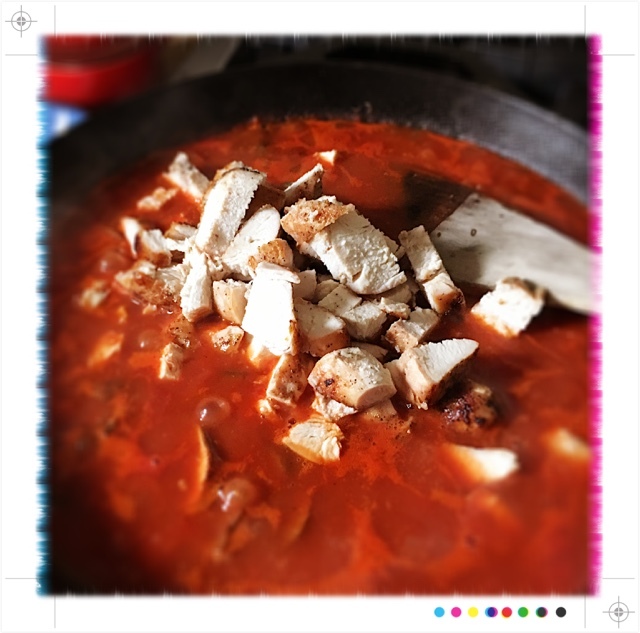 Add tomatoes plus 1 cup water and simmer on low heat until sauce begins to thicken. 7. 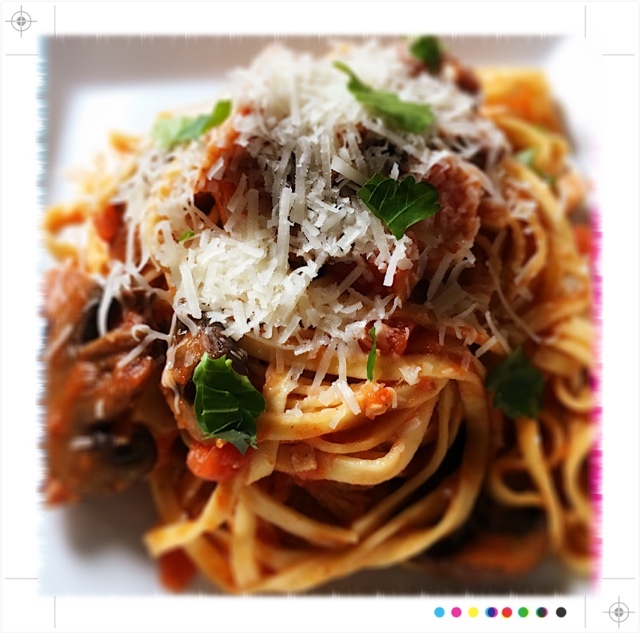 Cook your pasta and drain. 8. 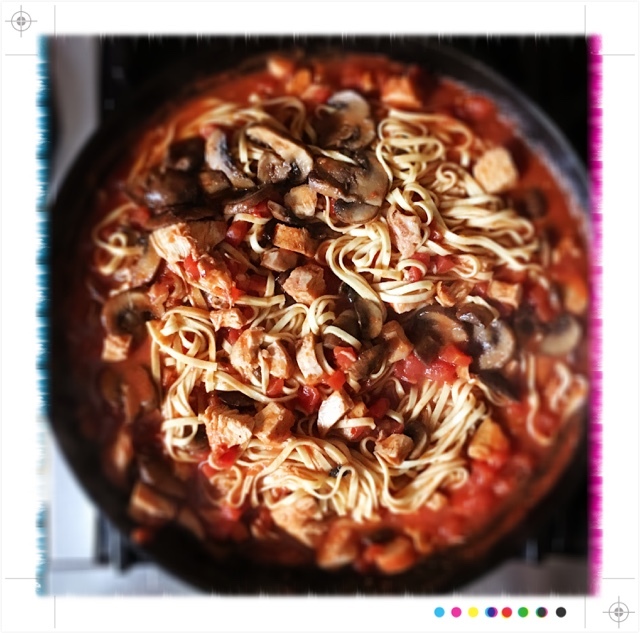 Add chopped chicken and pasta to the mushrooms and tomato sauce. 9. Serve it up with parmesan and basil or a sprinkle of parsley. Invite a friend--you will have more than enough and then some!